What is the Difference Between SUMIF vs. SUMIFS vs. SUMFPRODUCT? Excel has some of the most powerful functions for us in order to make our work much easier. Functions under discussion are considered as advanced excel functions. SUMIF function help us to add different values based on one condition/criteria in an array. 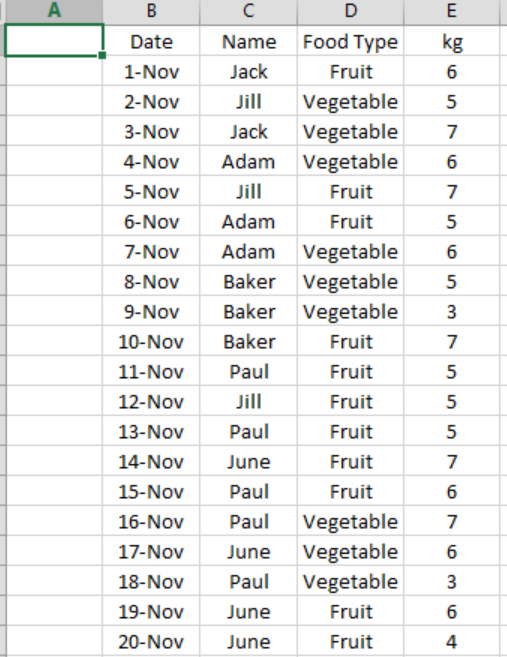 Based on our data set we want to know how much kg of vegetable & fruits “June” bought over the time. 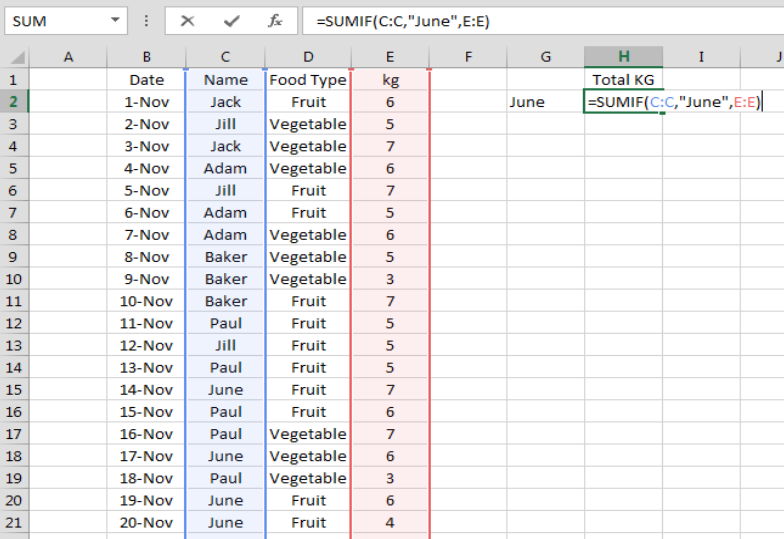 In cell “H2”, write formula SUMIF, in “range” portion select Column “C” (Name), criteria will be “June” & in “Sum Range” portion of formula select column “E” (kg). SUMIFS function help us to add different values based on multiple condition/criteria in an array. In SUMIFS, criteria2 and onward are optional. Now we continue with the same data set. Now we want to know how much kg “June” bought in Food Type “Fruit”. 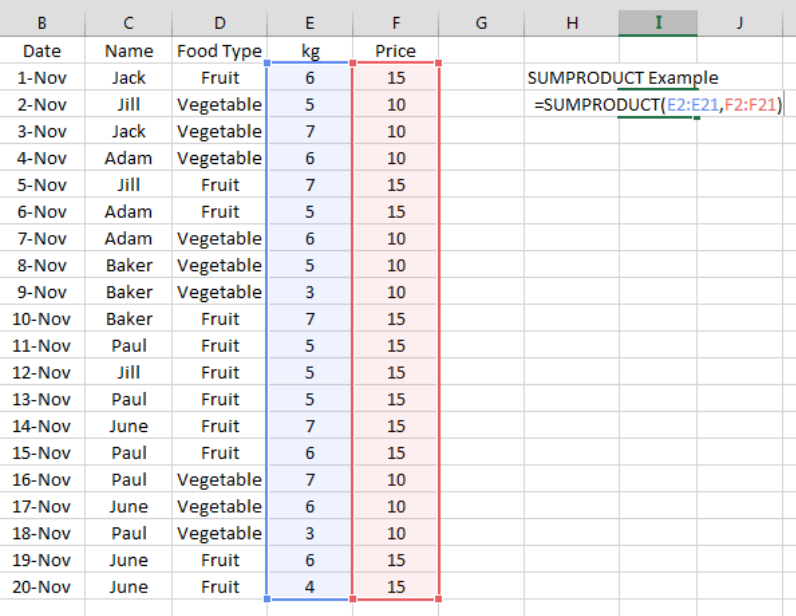 The SUMPRODUCT function multiples ranges or arrays together and return the sum of products. SUMPRODUCT is a very versatile function. For the sake of SUMPRODUCT, we consider price of vegetable & fruit. Now we want to calculate total sale of both vegetables & fruit. Here SUMPRODUCT function is first multiplying values of array1 with array2 and then summing the product value of array1 & array2.